iCode Systems Ltd is a Consultancy & Software Development house based in Hampshire, England. 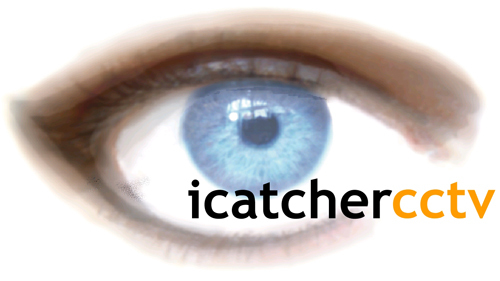 In addition to bespoke customer systems, they are the authors of iCatcher - a market leading Digital CCTV application that allows companies to deploy industry standard hardware to create a comprehensive security solution. IndigoVision is an industry leading software led end to end IP Video Solutions manufacturer listed on the AIM and headquartered in Edinburgh, Scotland. Innodep Inc. is one of global leading Network Video Surveillance solution provider and also a pioneer in Cloud-Based Video Surveillance Service ( VSaaS ) solution in Korea. What’s more, Innodep Inc released IP-Matrix server solution, is on the virtual machine based Cloud HW solution, for over 1,000 CH camera connection with 2 physical server configuration. Those Innodep Inc solutions are highly welcomed to cover diverse market segments including the security surveillance, transportation, retail, government and industrial markets with various system integration solutions with green earth energy saving service. Ivideon is the leading cloud VMS with more than 1 000 000 users around the globe which was created by the progressive engineers at the junction of security and Internet services. Ivideon has wide opportunities to integrate with ISP and telecommunications operators. The company was founded in 2010 and by 2014 Ivideon Cloud Service was acknowledged as the best cloud solution on the B2B market. Ivideon easily manages projects of any complexity level from 1 to 1 000 000 cameras and allows to solve many issues concerning security, business and monitoring for both profit-making organizations and big state projects using remote access. Currently, cloud data centers of Ivideon are located in the USA, Europe, CIS and Asia that allows to serve clients worldwide with maximum quality and reliability. I-View Now was invented to video verify alarms during the dispatch process, reduce false alarms, and to increase apprehensions while using off the shelf security and video products. They believe in the traditional burglar alarm as a deterrent to crime, they also believe video verification is a significant enhancement to traditional security solutions.